3 Bedroom Semi Detached House For Sale in Bedford for Offers Over £295,000. REFURBISHED NO CHAIN Taylors estate agents are delighted to welcome to the market this larger then average extended three bedroom semi detached family home! 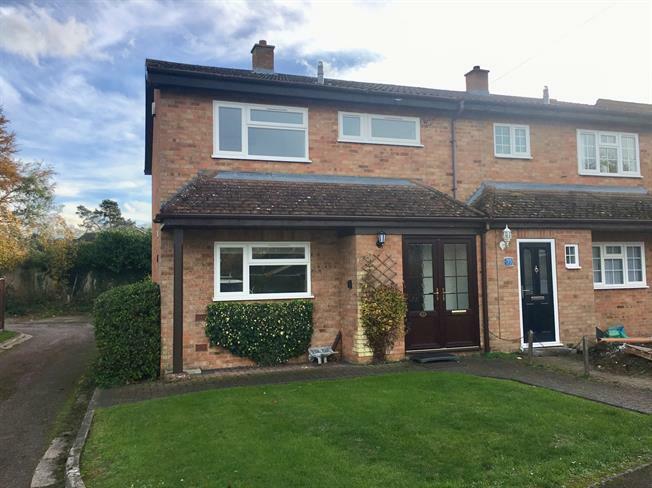 Having recently undergone a lot of improvement the accommodation briefly comprises of entrance porch, entrance hall, kitchen/diner with brand new appliances, lounge, conservatory and utility/toilet/wet room. First floor comprises of two double bedrooms, single bedroom and a refitted family bathroom. Further benefits include redecoration throughout, new carpets, updated and certified electrical system, brand new UPVC double glazing and the added bonus of no upper chain! Storage cupboard and door to entrance hall. Under stairs storage and stairs to first floor. Double glazed UPVC window to front aspect, roll top work surface, built-in wall and base units, single sink with drainer, integrated electric oven, integrated electric hob, over hob extractor. UPVC double glazed double doors leading onto garden. Low level WC, wash hand basin, wall mounted shower, fitted low level base unit with roll top work surface over. Double bedroom; double glazed UPVC window to rear aspect overlooking the garden. Double bedroom; double glazed UPVC window to front aspect and fitted wardrobes with mirrored sliding door. Single bedroom; double glazed UPVC window to rear aspect. Double glazed UPVC window with frosted glass. Panelled bath, shower over bath, top-mounted sink, tiled floor and walls. Mature garden mainly laid to lawn with patio area, wooden shed and enclosed by wood fencing with gate to side.